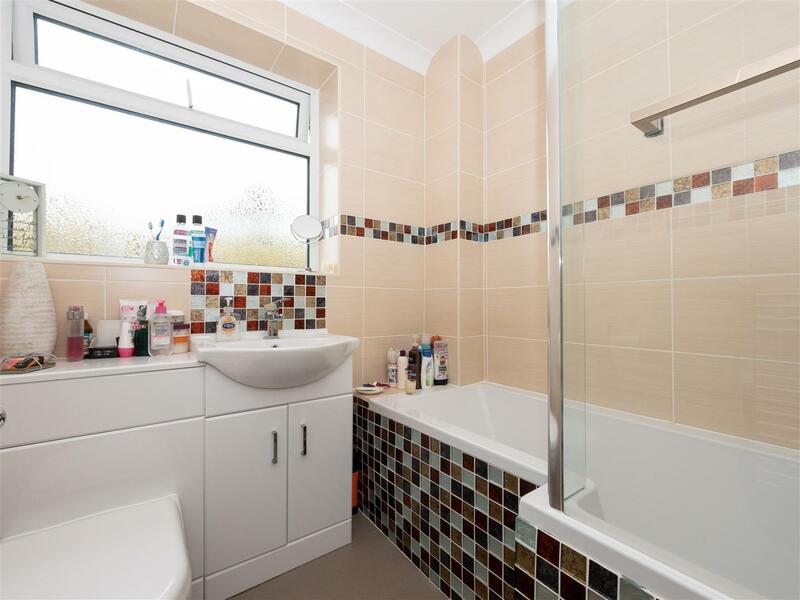 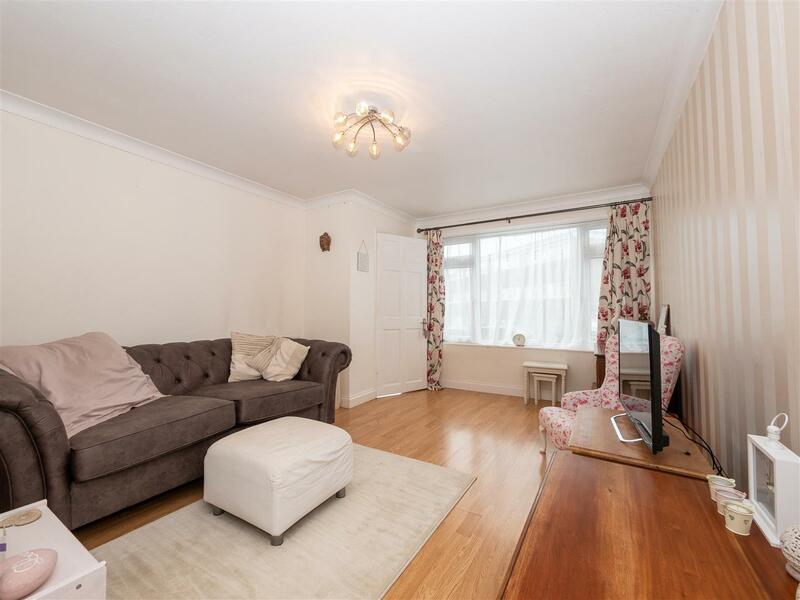 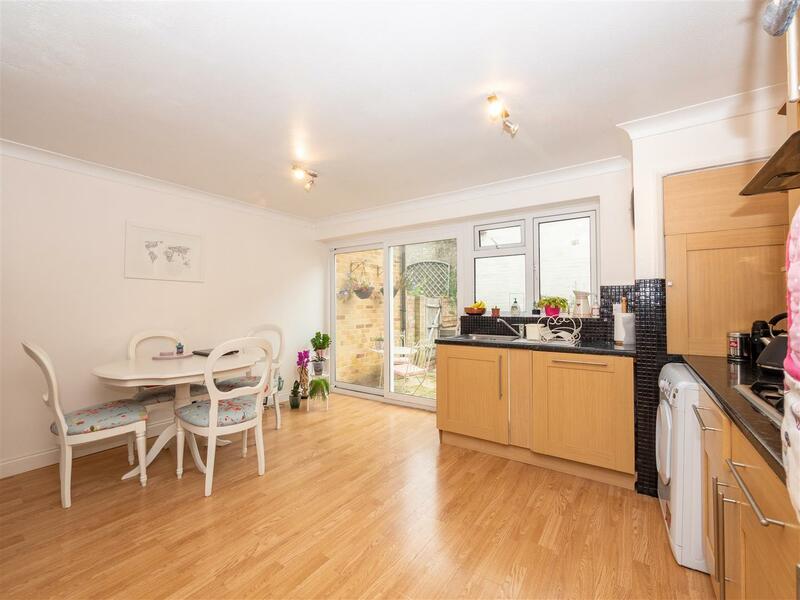 A well presented and light two bedroom house with secluded garden and garage. 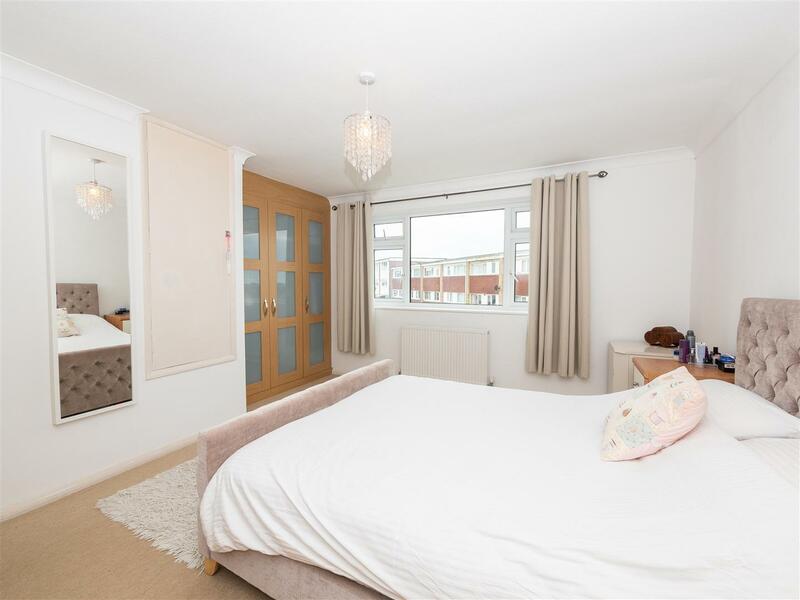 This two double bedroom terrace house is situated close to the seafront with sea views from the main bedroom. 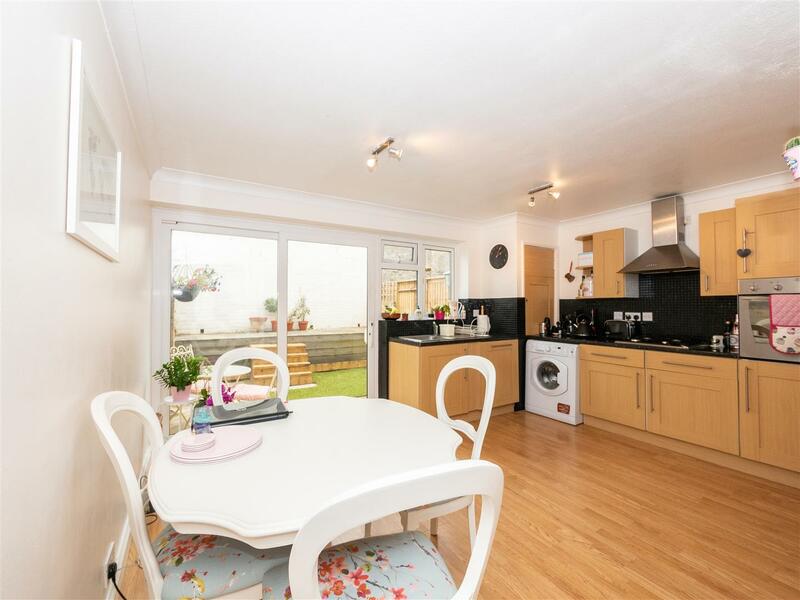 Features include an entrance hall leading to a front facing lounge, a kitchen/dining room with patio doors opening out onto the rear courtyard style garden. 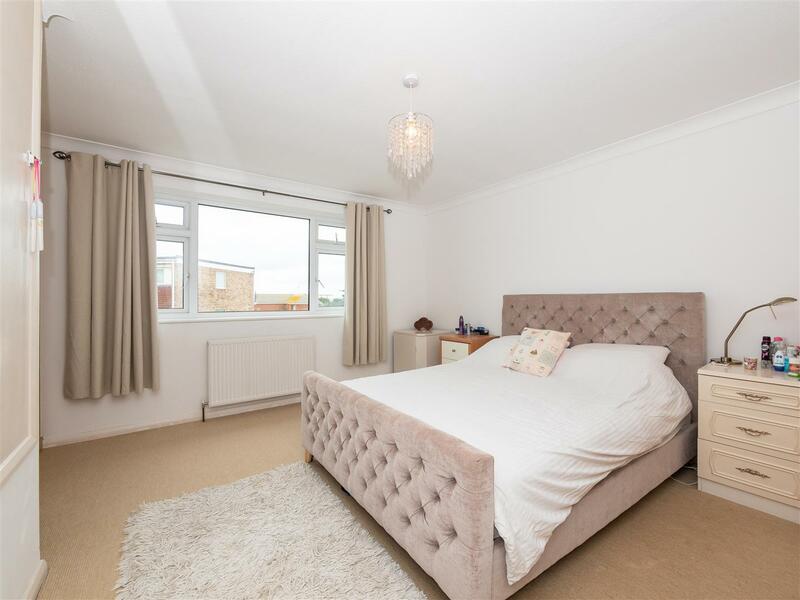 The first floor landing has built in cupboards, a master bedroom with built in cupboard and a large picture window to the front with oblique sea views, a second bedroom with double wardrobe recess and a fully tiled refitted bathroom. 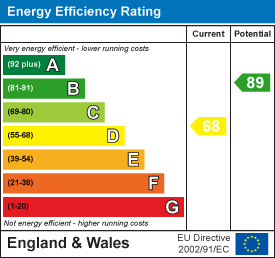 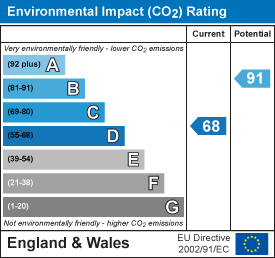 Other benefits include gas central heating with a combination boiler, upvc double glazing and exterior fittings. 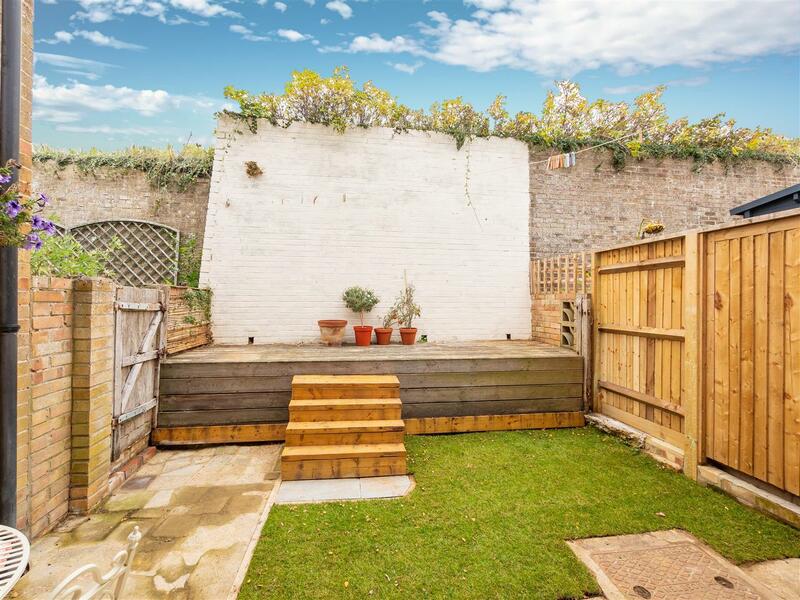 The house has a 15' x 14'8 rear garden arranged with decking - there is a further area of garden of approximately 20' accessed from Cliff Road - the access could be changed by building steps from the decked courtyard area. 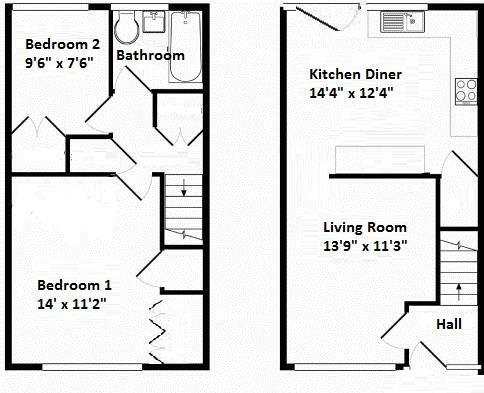 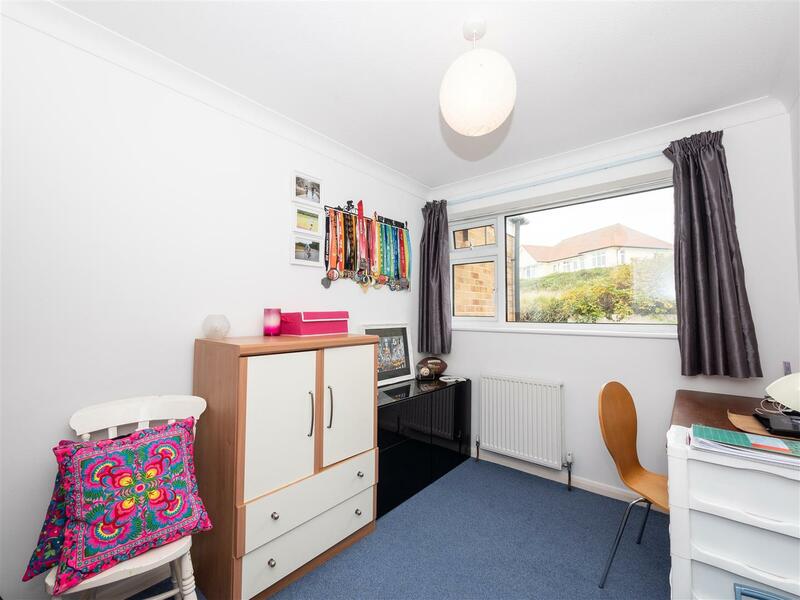 There is a single garage located opposite the property with a parking space to the front (of the garage). 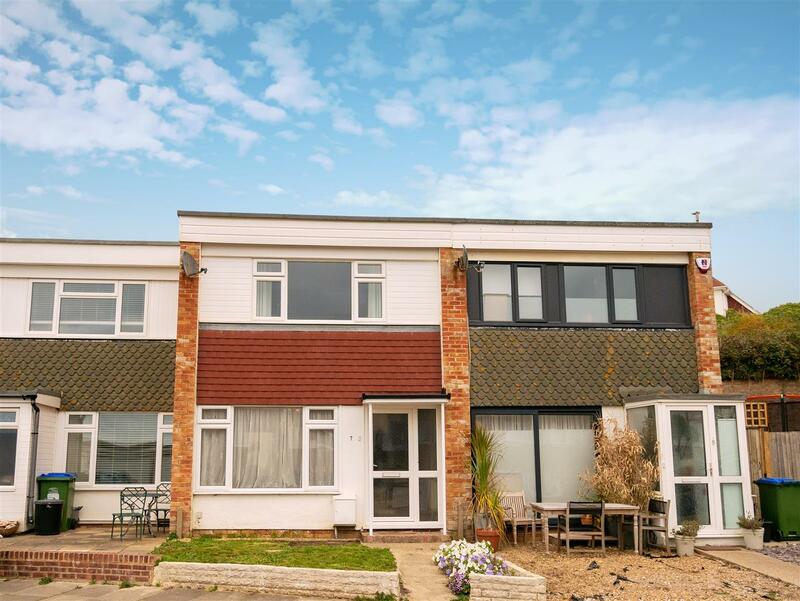 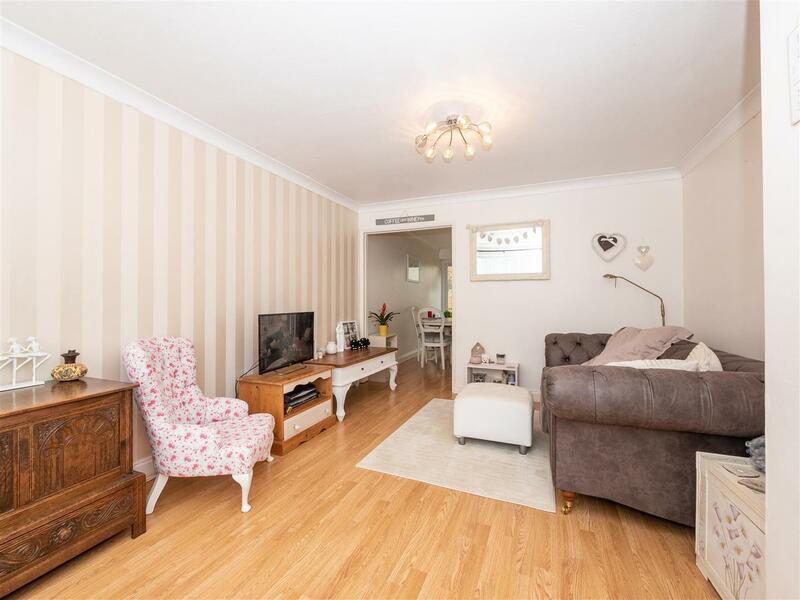 Cliff Close is situated approximately 0.6 miles of the town centre and station and within a few minutes walk of the seafront and Downland walks at nearby Seaford Head.